Profiting from record sales in the US and in Europe, the Chevrolet Volt reached a new personal best, with 4.055 units sold in August, enough to get close for the first time this year to the usual leader, the Nissan Leaf (4.352 units), which, with four month to go, already beaten it's personal record for YTD sales (26.973 units, established last year), being the first to do so this year. The Prius Plug-In was third in August, performing the best sales month of the year, with 2.228 units, enough to recover another chunk of lost ground to the Tesla Model S, if the japanese car continues to press on with sales (doubt it), it might even remove the american sedan from #3 in the YTD ranking. In the remaining ranking, the C-Max Energi profited from a year best performance (651 units) to climb to a surprising #7, surpassing both the Mitsubishi I-Miev (Another horrible month, as expected) and the Renault Kangoo ZE (A deeply unexpected and horrible month). And the Mitsu (And the Kangoo, by the way) still has got to watch its back, because the Ford Fusion Energi is coming up strong, with a personal best in August (615 sales), now that it's got the competition for #10 behind, the midsize Ford is now looking to climb even further in the ranking. BEV's saw their share expansion end, with PHEV's profiting from good months from their representatives to recover three points share, now at 61% BEV's vs 39% PHEV's. In the Manufacturers ranking, the first two continue stable, with Nissan at the top and Chevrolet second, improving one percent to 16% share. The real news is the third place of Toyota, climbing two positions, while Tesla keeps its fourth place, because it lost one position to Toyota but also won another at the expense of Renault, which was the loser in all these position changes, dropping two positions and ending the month in fifth. A blip for the french brand or a longer-term trend? Behind the seven major players, figures become a bit sketchy as one doesn't know for sure how the chinese brands are behaving, but taking in account confirmed numbers, Chery holds to #8, followed by a bullish Smart in #9 and by BYD in #10. A curious fact is that in 8 months, 5 out of the 10 best-selling brands have already beaten their previous YTD sales records, owing three of them to new models (Outlander PHEV for Mitsubishi, Model S for Tesla and the Energi family for Ford), while Nissan profited from the Leaf price drop and Smart from the series production of its 3rd gen Fortwo ED. What this teaches us is that the market is starting to fragment, with new carmakers coming in (Like VW and the rest of the german squad), and existing ones responding by improving their current offer, while adding new models to their current lineup, like like Chevrolet with the Spark EV, or Ford with the Energi family, in that way expanding their sales potential for the brand. 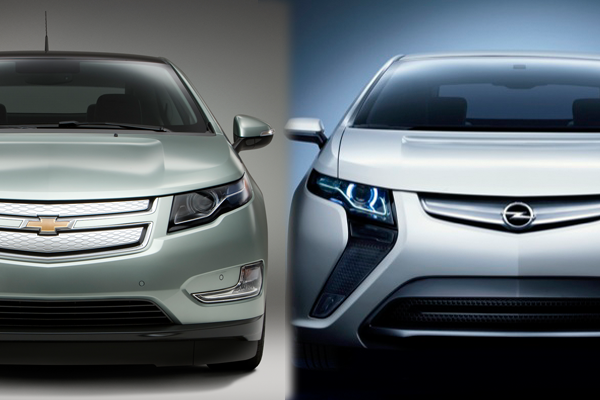 Will the Prius Plug-In pass the Tesla Model S? Which model will be #8? Will Toyota confirm the #3? Can Smart attack Chery's eighth spot? Tesla Model S (Europe) - 267 Units. The Chevrolet Volt had a bang up month, not only established three personal sales records (USA, Europe and Netherlands), it also collected three monthly #1's in those three markets, when last month it had...none. Good job, Chevrolet. The aforementioned sales boom in the USA, where things continue pretty tight between the first two, contributed greatly for the increased importance of this market in the global EV sales, in August the US EV Market represented 68%(!) of all worldwide sales. By the way, North America is on fire regarding plug-in sales, with just 8 months passed, not only the US has beaten their monthly record, it has also beaten the 2012 total sales number (58.802 units in '13 vs 54.950 in '12), just like Canada (2.035 vs 1.969). In France, the Zoe is falling behind expectations, in Norway the Leaf has already beaten the previous YTD sales record for a single model (2.298 units for the Leaf in '12), with still 4 months to go and Tesla is out to get the silver medal, while in the Netherlands the Ampera/Volt twins are recovering and the Volvo V60 Plug-In is a surprise success. The last third of the year should see sales rise sharply in markets like the Netherlands, Norway and Germany thanks to new models with long waiting lists (Outlander Plug-In, Tesla Model S, BMW i3...). Looking at EV shares, the only country in a downward trend is Japan, while Norway (3,73%), Holland (1,62%) and the USA (0,55%) saw their EV shares increase significantly. 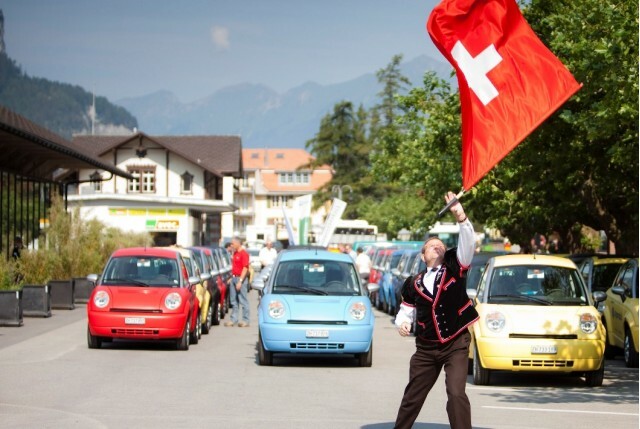 Switzerland is the second EV Market where Tesla Model S is #1, after three monthly #1's in the USA early this year, Elon Musk's baby was the best selling EV in August, with 42 units. Iceland had another record month, with 17 units sold, while Denmark had its best month of the year, with 53 units, reinforcing the idea that countries in Northern Europe are increasingly embracing plug-ins. 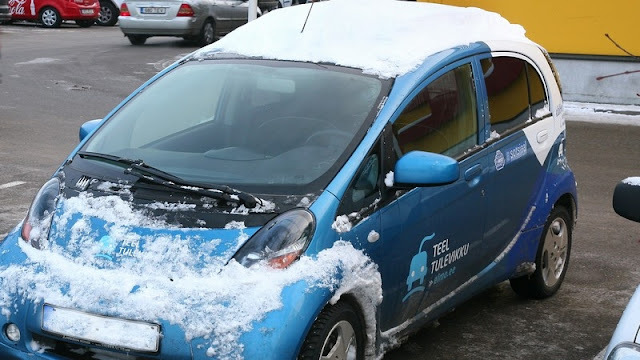 It's also worth mentioning that the Russian Government purchased 70 Mitsubishi I-Miev and that 45 BYD e6 Taxis were delivered in Bogota, capital of Colombia. How much more sales records will be beaten? Who will be the US #1? Who will be #1 in the Netherlands? Will the BMW i3 reach #1 in Germany? In which european country will the Tesla Model S perform better? In another chapter in the fight between the Zoe and the Leaf, the japanese car continued to gain momentum, winning 910 vs 600 in August and reaching this month the top spot in the YTD chart. On the other hand, the Zoe is losing steam, selling half of what it did last June. Thanks to their sales success in the Netherlands, the Volvo V60 Plug-In shoots up to #6, making Volvo the fourth best selling brand in Europe, with 6% share, below Toyota (#3 with 8%), Nissan (#2 with 23%) and Renault (#1 with 41%). Further down the ranking, the Chevy Volt climbs three positions to #9, thanks to a record month in Holland, while the Model S from Tesla now appears on radar, in #15, but the next months most likely will see it climb several positions in the ranking. 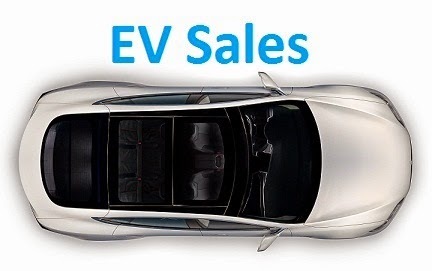 With two third of the year gone, three models already beaten their 2012 sales record, they are the Nissan Leaf (6.364 units in '13 vs 5.290 in '12), Smart Fortwo ED (1.534 vs 994) and the Chevrolet Volt (802 vs 609). As i predicted earlier, GM dropped the price of the Ampera by some 7.500 euros, a much needed shot in the arm for that model, now that new competition (Stand up, BMW i3) is entering the market. Another good month for EV's in Switzerland, with 129 units sold, pushing the EV share to 0,36%, closer to the 0,41% of last year. The big surprise was the #1 spot for the Tesla Model S in the monthly ranking, confirming my suspicion that Tesla would do well here. In the YTD chart is now sixth, but it's expected that in the end of the year it reaches the podium. In the YTD ranking, the Renault Zoe is now in #1, tied with its stablemate, the Twizy, which has been losing steam. Stable at #3 is the Nissan Leaf, with an average result of 23 units, just like the rest of the ranking, which is more or less the same. 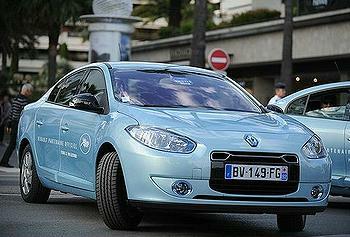 "Trying to win french taxi drivers hearts since 2010"
Yep, the EV market seems to have gone on holidays in France, registering just 649 units, the worst result of the year, more than 50%(!) less than in June...Despite this, the EV share remained stable at 0,79% because the french auto market as a whole hit historic lows, making August '13 the worst sales month since...August 1976! The Renault Zoe registered just 198 units, a worrying result that represented just 25% of what it had sold in June. Considering that the french hatch is responsible for 45% of the french EV market, it is important that in September the Zoe bounces back to decent levels (500-plus units) if Renault wants to avoid the "Failure" tag on the Zoe. Maybe more importantly, its main rival in European turf hit an all time high: The Nissan Leaf recorded 148 sales, just 50 units behind the homeboy Zoe, a great performance considering that France is by far the largest market of the Zoe. Further down the ranking, the Mitsubishi I-Miev is experiencing a surprising revival, it's now in #14, two places above last years performance and we also welcome a new player in the market, the Ford Focus Electric registering its first 4 units. The Smart Fortwo ED is on sale in Germany since 2010. With 547 units sold, the German Plug-In market dropped 16% regarding last month but it was still the third best month of the year, which lead the EV share to climb ever so slightly (0,003%) and reach exactly the same number it had in the end of 2012 (0,198%), with the imminent sales boom of the BMW i3, things can only get better from now on. Looking at the models ranking, this month was another Leaf vs Zoe fight at the top, with the japanese hatch winning over its french cousin for the second time in a row, originating a position switch between both on the YTD chart, with the Nissan Leaf now in third and looking menacingly close to the number two Renault Twizy, just 20 units ahead, with the #1 of the Smart Fortwo ED too far ahead to be troubled. Although still registering demonstration units, the BMW i3 climbed up to #7 on the YTD chart, it looks that the Bavarian carmaker is making a strong bet on its "i" sub-brand, making it interesting to see when will they get their first monthly #1 and how high will they get by the end of the year, 700 units? 800? 1.000-plus? Please place your bets. 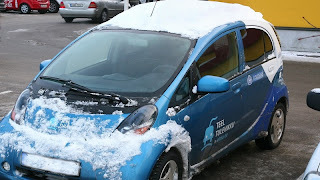 After a stratospheric year of 2012, where 456 I-Mievs were registered thanks to a deal between Mitsubishi and the Estonian Government, taking the local EV share to an out-of-this-world 2,39% result, the second highest share in the world just behind Norway, this year things are back to normal, with 42 units sold and 0,30% share, a solid 25% improvement over 2011. Looking at the ranking, this is another country where the Nissan Leaf is comfortably on top, with the Mitsu I-Miev in a distant third place, unable to reach #1 and renew the best selling title it had in 2011 and 2012. A curiosity of this EV market is the 13 units registrations from MIA, making Estonia one of the few successful export markets of the quirky french brand. A good month for the plug-in market in Canada, reaching 298 units sold, which is the second best performance of the year, falling only behind March (373 units). With its second best performance of the year (84 units), the Chevy Volt is back at #1 in the monthly chart, after last month Tesla Model S interrupted a three consecutive #1's for GM's affiliate. And as this is the "Second Best" month, the Nissan Leaf also scored a second best performance of the year, selling 56 units, relegating the Model S to third place. Further down the ranking there's not much to say, apart from the fact that the #9 Ford Fusion Energi is putting pressure on the #8 Focus Electric and should pass by it in the next couple of months.